Why would I need self storage in Burnsville, MN? There are a variety of reasons why you might need self-storage in Burnsville, MN. How much is a storage unit in Burnsville, MN? The cheapest storage unit in Burnsville, MN is $30.00 per month. What size storage units do you have available in Burnsville, MN? In Burnsville, MN we have sizes that range from 5'x5' to 10'x30' to suit your storage needs. How much is it for a 5'x5' storage unit in Burnsville, MN? The cheapest 5'x5' storage unit in Burnsville, MN is $30.00 per month. As a suburb of Minneapolis-St. Paul, Burnsville offers a quiet, small-town atmosphere when compared with the chaos and noise of big-city life. The downtown area, known as "The Heart of the City," offers shops, restaurants and entertainment venues, while the area around the Burnsville Center provides supermarkets, stores and other amenities to ensure that you have everything you need. 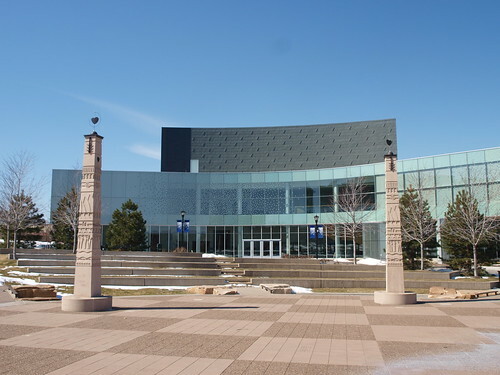 From the Burnsville Performing Arts Center to the surrounding mountainous terrain, the community of Burnsville offers a wide variety of things to do. While the winters get plenty cold, they also provide plenty of opportunities for outdoor activities, such as skiing and snowboarding at Buck Hill. If you prefer to stay warm, the indoor Burnsville Mall is a popular wintertime destination. You'll find several art galleries, museums, public parks and other places to spend your leisure time, as well as a variety of shops and restaurants throughout the city. If you'd like to take a day trip out of the city, the Burnsville Transit Station makes it easy to get around the area and access several surrounding suburbs. Burnsville is home to a diverse economy, with sales, office, business and financial occupations leading all others as top choices for locals. There are also many local jobs in education, the arts and related professions. The city's unemployment rate is significantly lower than both the Minnesota average, and the national unemployment rate. This makes it a great place to be joining the local job market. The largest employers in Burnsville include the local school district, Fairview Ridges Hospital, UTAS Sensor System, Pepsi and Cub Foods. The southwestern and northern regions of the community are home to many industrial developments, where you can find a high concentration of manufacturing jobs. Mall of America is also within a short drive, and massive retail development provides several thousand retail jobs in the area. The majority of schools in Burnsville are part of Independent School District 191, but some are within the boundaries of ISD 196 and ISD 194. There are several early education schools, both public and private, in the city. Utilities: Several major energy companies serve the city, including Xcel Energy, Dakota Electric, CenterPoint Energy and the Minnesota Valley Electric Cooperative. Your home's location will determine your provider. The city manages its own water and sewer services. Garbage and Recycling: The city has contracts with a few waste disposal companies to provide trash and recyclables collection in residential areas. You'll be responsible for choosing the company you want to work with and arranging for collection on your neighborhood's assigned day. Transportation: The Minnesota Valley Transit Authority and Metro Transit manage the public transportation routes in and around Burnsville. Although homes in Burnsville tend to be more expensive than the national average, it's a fairly affordable suburb in the Minneapolis-St. Paul metro area. The housing market also offers a wide variety of options, making it easier to find something that fits your needs. Our lowest priced units in Burnsville, MN average $43.33 per month. 102 people have reserved units in Burnsville, MN in the past 30 days. There are 3 locations within Burnsville, MN's city limits. There are 2 locations in Burnsville, MN that offer AC and Heating features.